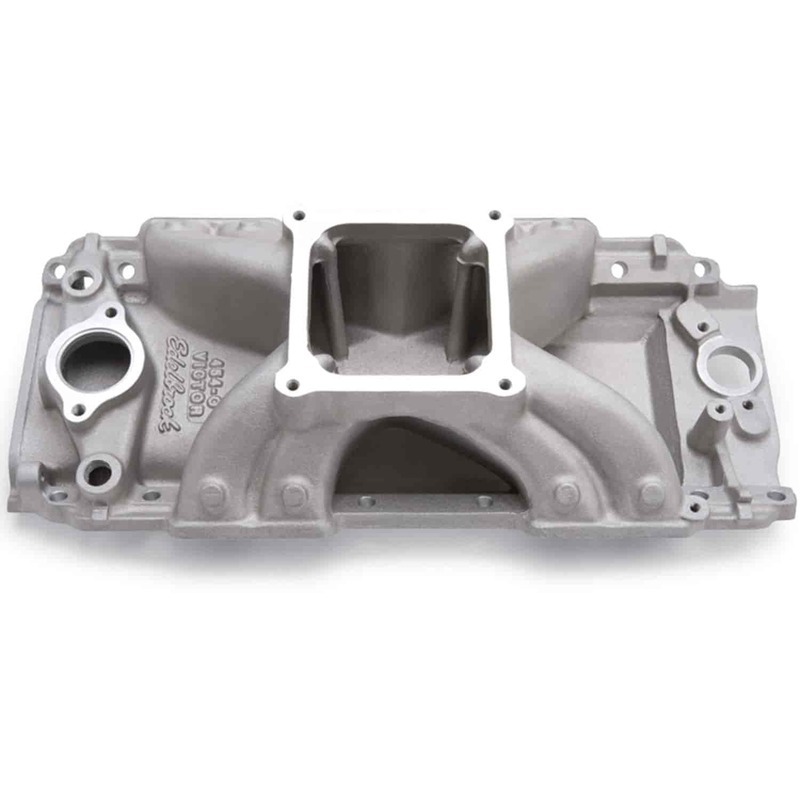 The Edelbrock Victor Series intake Manifolds for Big Block Chevy engines are designed for high rpm performance right out of the box. Constructed from cast aluminum for reduced weight and better heat dissipation the raised air-gap style single-plane carburetor mounting pad, straight runner design and unique runner dividers offer increased power and better 60-foot times. With a wide variety of products developed by top engine builders available in single 4-bbl Victor Jr and Victor series as well as the dual 4-bbl Victor Ram the possibilities of creating maximum power from your application are endless.